Offshore activities have a long history meeting and overcoming challenges. As oil and gas exploration moved offshore, innovation was fuelled by the technologies developed in the maritime industry. Now, offshore wind activities are realising the benefits of lessons learned during the development of offshore oil and gas rigs and platforms. Technologies developed for large offshore oil and gas platforms to withstand wind, wave action, and many other types of harsh marine conditions have been successfully used by the offshore wind industry around the world. In particular, Bentley Systems, Incorporated, an Exton, Pennsylvania-based firm, has enabled this successful skill and technology transfer through SACS structural design software system. SACS offshore structural analysis and design software was developed in parallel with the offshore oil and gas industry in the Gulf of Mexico when that industry segment emerged in the 1970s and expanded in the 1980s. SACS grew and evolved as jackets became larger and were placed in deeper and rougher waters. 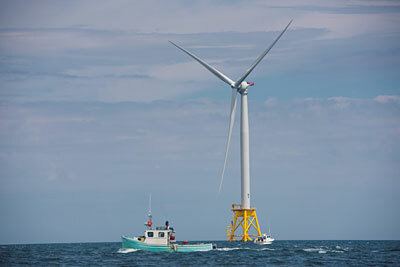 The technology was used on the Block Island project in the United States to solve specific challenges. During the planning phase of the Block Island Wind Farm, designers were keenly aware of the challenges posed by storms that frequent the Rhode Island coast in summer and winter. Operating company Deepwater Wind chose Louisiana-based Keystone Engineering, developers of the Inward Battered Guide Structure (IBGS) or “Twisted Jacket”. The first IBGS, an oil and gas platform in the Gulf of Mexico, survived Hurricane Katrina with no damage. Now, the “Twisted Jacket” has become the preferred foundation for two out of three U.S. Department of Energy-funded offshore wind projects. For the Block Island project, arriving at the optimal solution would require thousands of test simulations using purpose-designed software. Keystone selected Bentley Systems’ SACS software, in part because the organisation had extensive experience with Bentley while designing for the offshore oil and gas industry, but also because Bentley was able work with Keystone to modify SACS specifically to analyse wind turbine structures. Among the requirements for Block Island Wind Farm foundations were the ability to withstand a Category 3 hurricane and to compensate for aerodynamic and hydrodynamic loading complexities – in addition to possible issues arising from turbine control. From experience in the oil and gas industry, the four-pile IBGS jacket structure is well understood, but an additional factor would be to accommodate loading and vibrations from the spinning turbines. The team considered different loads and combinations of loads, including current, waves, wind, and the actual load on the spinning turbine – all of which combined to create a large number of load cases. Bentley and Keystone engineers evolved the SACS technology to make it easier to define the different load combination permutations – dramatically speeding up the computation time. Using Bentley’s SACS Wind Turbine software, Keystone ran test simulations, repeating each test with slight variances to ensure the final design could withstand a “1,000-year storm”. Different load scenarios and weather conditions were simulated and over 10 million test scenarios were performed. Keystone engineers worked on five, 24-core computers – operating around the clock for 10 days – to conduct nearly 2,500 simulations, including more than 30 million time-steps and 25 load cases, along with general operation, start-up, shut-down, installation, storm conditions, and fault maintenance cases. 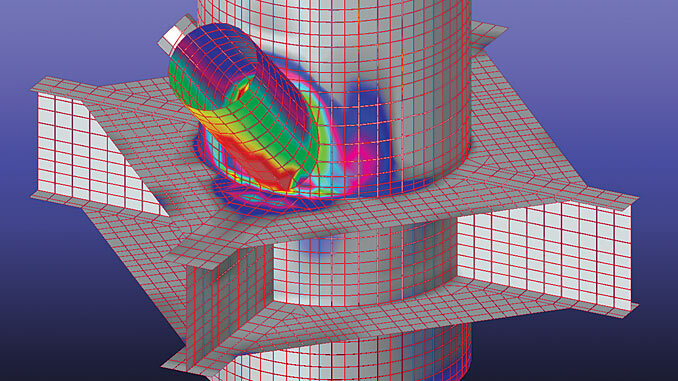 Bentley’s SACS software allowed the engineers to streamline the design and analysis within the simulations and minimise the possibility of any errors. With updates to the software, the latest edition of SACS leverages cloud-computing to streamline this process even better. Following the simulations and data analysis, Gulf Island Fabrication, Inc., a company with a history of working with Keystone, began foundation fabrication. The steel lattices and piles that hold up the Block Island wind turbines share many of the same features as traditional oil and gas offshore structures. The first jackets were completed in June 2015 and they began the journey to Rhode Island. The first “loadout” – the process of moving foundation sections from land onto a cargo barge – was completed in just two days without a hitch. After the jackets left Gulf Island’s facility, travelling about 1,800 miles from the Gulf of Mexico to Rhode Island, installation of the foundations took place in the summer of 2015 and the first turbine was erected in August 2016. Commercial operation began in December of that year. The turbines were put to the test in March 2017, with winter storm Stella producing winds of more than 70 miles per hour and extreme wave action. 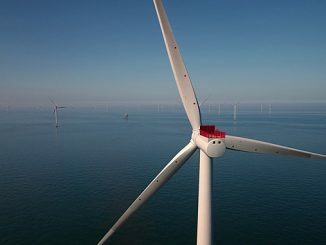 Not surprisingly, the asset management systems worked as planned, with the turbines automatically shutting down when the wind reached 55 miles per hour. Once the wind subsided below the cut-off threshold, the system automatically resumed operation without any damage. The experience gained in the oil and gas industry by engineering and construction firms, as well as software solution providers like Bentley Systems, transfers effortlessly to new developing markets such as offshore wind farms. The results of this transfer of knowledge and technology have already been proven on projects like Block Island, where the end result was an anchored jacket system that is 15% lighter than those used in the North Sea; installation costs that were 20% less than conventional systems; and products that can withstand the harsh conditions of an offshore wind farm, much like an offshore oil and gas platform. This “new” industry is clearly an attractive revenue stream for E&C companies looking to diversify in the wake of the offshore oil and gas industry downturn. 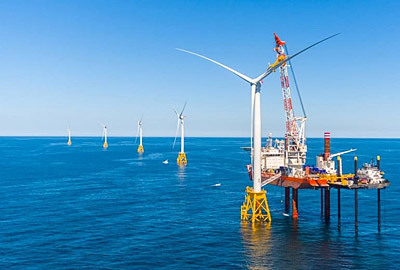 The original white paper version of this article “Applying oil and gas skills and technology lessons learned to offshore wind” is available at bentley.com. 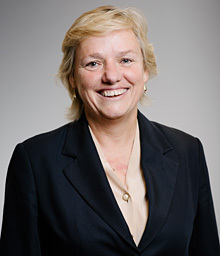 Anne-Marie Walters, industry marketing director, Bentley Systems, joined Bentley in 2004 as a global marketing director. In this capacity she is responsible for the marketing and positioning of Bentley’s solutions and products that address the needs of many industries including oil and gas, process & discrete manufacturing, power generation and mining.